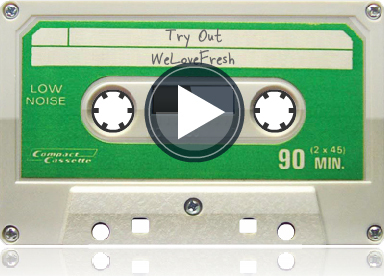 Thanks to Mixwit we are now able to make sharable mix tapes on the web. The company founded by Radley Marx and Michael Christoff provides an easy way to create mix tapes with songs found through MP3 search engine Seeqpod. After creating your mix you can send the link to your friends, post it on your blog or social networking site (Facebook, MySpace, Blogger, …). Sounds pretty good, doesn’t it? So go make a tape, it’s free!